This statistic shows the results of a survey conducted in the United States in February 2017. 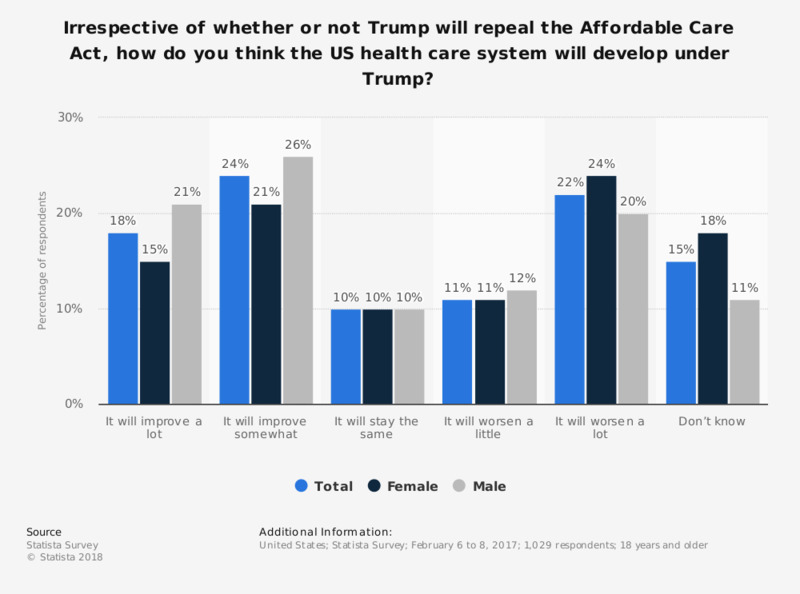 U.S. adults were asked irrespective of whether or not Trump will repeal the Affordable Care Act, how they think the US health care system will develop under Trump. In total, twenty four percent of respondents stated that it will improve somewhat. How do you judge the recent experience with federalism in health care? How important or unimportant do you think adult's healthcare should be in terms of priorities for the NHS?